Filipino cuisine and culture shines through its rich meals, decadent dessets, and distinctive snacks. Apart from the ubiquitous bibingka, puto, and leche flan, polvoron is a favorite among locals and tourists alike. Indeed, the unassuming “powdered candy” has become an unofficial ambassador of Filipino culture abroad, thanks to its carry-on convenience, bite-sized servings, and inimitable taste and texture. For the past 50 years, Goldilocks Bakeshop has been synonymous with polvoron. Overtime, however, many of the younger generation have come to regard polvoron as a simple pasalubong item, thus missing out on the everyday goodness of the iconic treat. 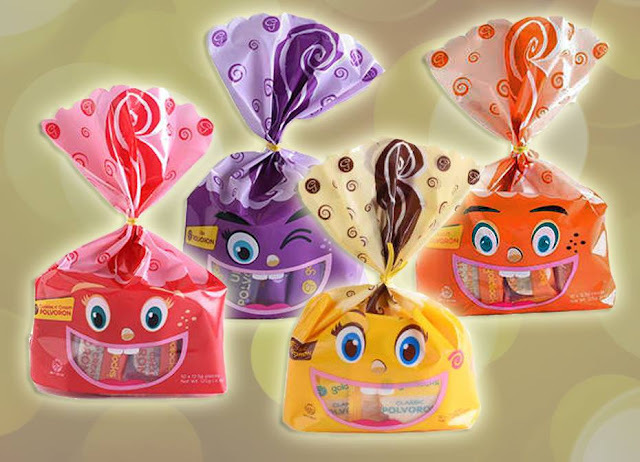 Accordingly, the country’s number one bakeshop has introduced its new Polvoron Pouches. The Goldilocks Polvoron Pouches gives the enduring snack some much needed flare, while emphasizing the versatility of this delightful goodie. They come in a variety of flavors such as classic, cashew, coffee crumble, ube, cookies & cream, pinipig, peanut, and assorted packages for those who are looking for variety. Try these timeless treats at your nearest Goldilocks Bakeshop, the gold standard of polvoron in the Philippines. For more information, visit their Website or join the conversations on Facebook, Twitter and Instagram. 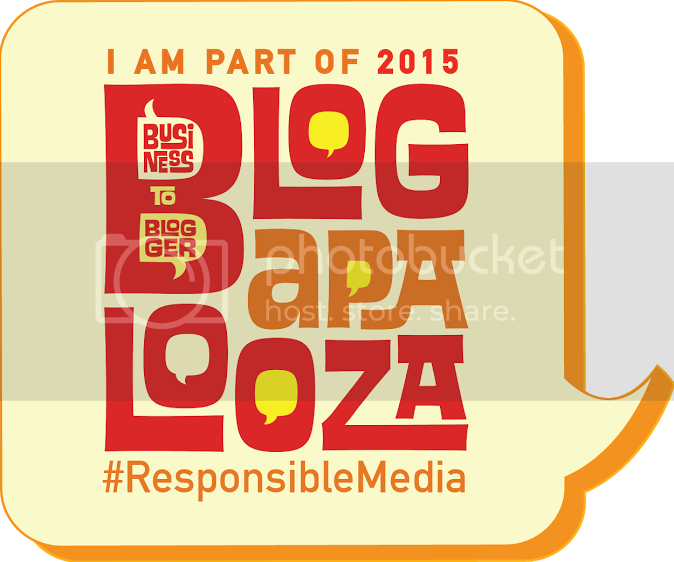 All videos will be shared via social media to make it really accessible. Check out their first video on the link. To be honest, whenever I get invited to talks, I tend to judge that it might be a long and boring talk. 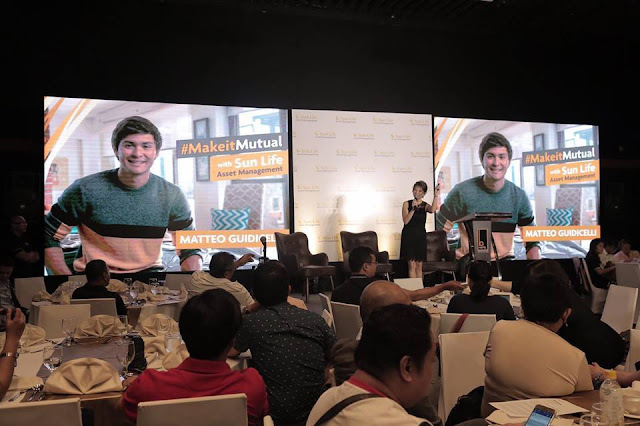 But ever since I tried Sunlife's seminars, I've been excited to join because the financial topics they provide are very informative and are "eye opener" for someone like me who has little idea when it comes to financial literacy. So when I got an invite from Sir Arnel to attend a #LiveBrighterSession entitled: From Grit to Great with Jonathan Yabut, I grabbed the opportunity to be there and participate in the talk. For those who don't know who Jonathan Yabut is, he is the first ever winner of the hit reality show "Apprentice Asia" hosted by Malaysian business mogul Tony Fernandez and as a prize, he became the Chief of Staff of Air Asia for a year. He currently runs his own company "JY Consultancy & Ventures" which operates in Manila, Kuala Lumpur and Singapore. Through the #LiveBrighterSession, which was attended by bloggers and aspiring financial advisors, he shared with story of how he rose from humble beginnings to become a successful businessman and an in-demand motivational speaker. 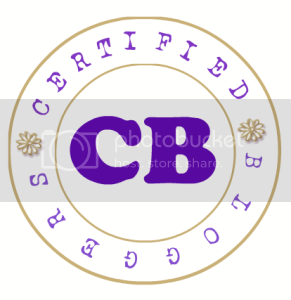 He also imparted the work principles that has brought him to where he is now and he gave emphasis to the importance of serving a social purpose which can give you the drive to keep improving work. Check out my Facebook Live during the session. Another speaker that night was Sunlife Financial Advisor JP Cruz who gave the attendees an inside look at his own career and his personal journey. He shared how he was able to reach rock bottom in both his financial and love life and what he did to overcome these struggles. 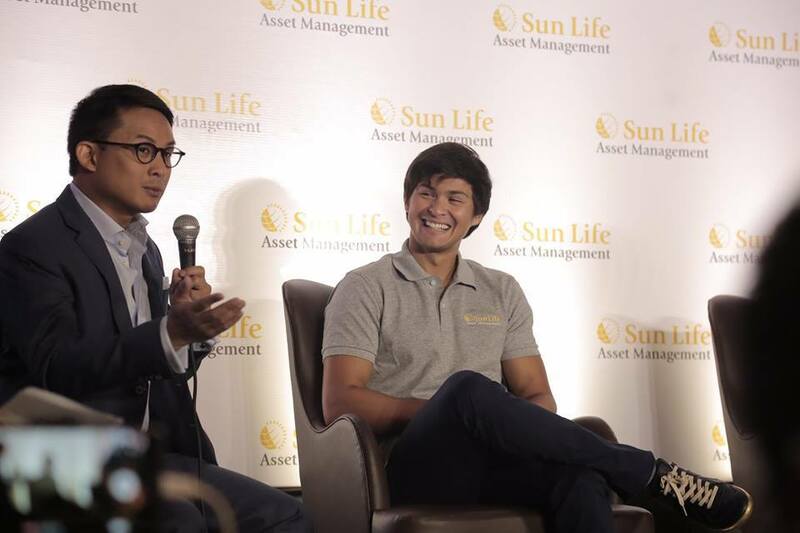 Now that he is a successful Sunlife Advisor, Cruz interestingly stressed a thought akin to what Yabut emphasized: that is to have a deeper reason for the work one pursues. In his case, Cruz finds it by helping people achieve lifetime financial security. "There's so much inspiration to be had in this Live Brighter Session between Jonathan's and JP's stories. 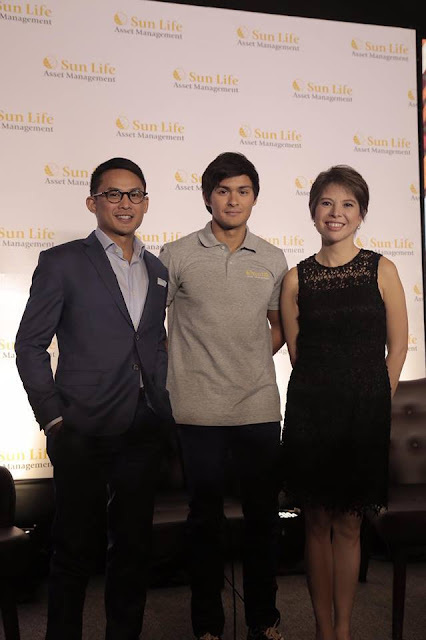 I'm sure that the bloggers who joined us in the venue and even those who tuned in via Facebook Live found motivation to continue pursuing their dreams and finding a purpose to serve," SunLife Financial Advisor Recruitment Manager Fin Bernardo said. "We hope that this also opens to them opportunities that they can enjoy if they become a financial advisor. It's a career that's definitely meaningful, and at the same time, financially rewarding." For those interested to attend the #LiveBrighterSession, they will be in Cebu and Davao! For the complete details and other updates regarding the schedule, you may follow Sunlife's Social Media Accounts: Facebook, Twitter and Instagram and if you are interested to be a Sunlife Advisor, you may visit their Website. Travelling to Korea is quite expensive so for those who can't afford to go there, it would be a good idea to visit Korean restaurants in the metro specifically those that can give you the "Korean Vibes/Feels". From the interiors, background music, fixtures and of course, the authentic cuisine, I suggest you try dining at Gangnam Wings. Located at The Megastrip Unit 1-114 UG/F Bldg A SM Megamall Mandaluyong City, this restaurant owned by President and CEO Rinky Tuaño and supervised by Chef Jung Chungyeal, offers a wide variety of Korean dishes that I was able to try during my visit last April 19, 2017. We started off with their specialty, which is the Korean Chicken. They have different varieties when it comes to their chicken. You can choose the original crispy chicken which comes with 3 sauces or the other flavors like soya garlic or sweet and spicy. The truffle flavor is very distinct on this variant as it is drizzled with aromatic truffle oil and then sprinkled with parsley flakes and salt. An early favorite and I must say that this can be very addictive. The generous amount of toppings composed of thin beef slices marinated with soy sauce and creamy sauce made the fries fun to eat. If you love Kimchi, these 2 variants are a must try. You can either go for chicken or beef topped with creamy sauce and enjoy a bit of spice on this yummy and messy snack. Another snack that you might want to try is the Pajeon or the Korean Pancake. Enjoy the Seafood Pancake made of shrimp, squid, onion and Korean batter mix or try the Kimchi Pancake composed of Korean chili, Kimchi, onion and Korean batter mix. Surprisingly I liked the Seafood Pancake despite the fact that I hate onions and it seriously has it all over the pancake. Since it's the start of the rainy season, these spicy hot soup, noodles and dishes will surely be a hit. This hot pot contains Korean Kimchi, onions, inoki mushrooms, sausage, ham, bacon, fish cake, baked beans, macaroni, ordinary Korean noodle, home-made Budae Jjigae Chili Paste and Sliced Cheese Chili. With all those ingredients, this soup is very flavorful and is good for 3-4 persons. Made of ordinary Korean noodle, Korean chili, egg and onion. It has a somewhat thick consistency due to the egg and I love the hint of spiciness that will make you want to have a cold beverage on the side. Another soup that will will spice up your rainy day is this Seafood Spicy Noodle which has shrimps, squid rings, Korean chili, Kimchi, onion and ordinary Korean noodle. If you are a fan of seafood, you have to try and order this dish. It contains a generous amount of shrimps, squid, onions, rice cake, fish cake and Korean chili topped with cheese. It is very spicy so I suggest you taste a small portion first before taking a spoonful of this tasty meal. Warning! This "dry noodles" has a level 3 spiciness. I highly advise that you have a glass full of iced water because this is seriously hot. But once you get the hang of it, you'll appreciate its taste. But if you are not a fan of spicy noodles, then the famous Japchae, which is a stir fried glass noodle with carrots, bell pepper, onion, mushroom and secret blend of soy sauce, is also available at Gangnam Wings. Are you on a "diet"? Then why not try their Salad. I enjoyed the Mango Salad which is made of mango dressing, mixed salad, carrots, cabbage and fresh mango. I like that it's not too sweet compared to other mango salads that I've tried before where the syrup just overpowers the whole dish. Or you may opt to try their newest salad offering, which is the Spicy Teriyaki Chicken Salad. Have a tasty burger with fresh sliced tomato, lettuce, creamy sauce and your choice of either a chicken or beef patty. If that Burger won't satisfy your hunger, you may also try this huge sandwich with a generous amount of either beef bulgogi or chicken teriyaki with fries on the side. I love the how it was served on top a melon shell with with yummy rockmelon balls, finished off with a creamy vanilla ice cream scoop, snowflakes and melon syrup. Made of Mango with snowflakes, mango ice cream and mango syrup. Good thing that the fruit slices they used are perfectly ripe. Same goes with the Banana Bingsu as they used fresh banana slices in this yummy dessert. But if you are more of a chocolate that a fruit lover, I highly recommend that you try the Oreo Bingsu which is composed of crushed oreo with snowflakes, chocolate ice cream and chocolate syrup. Last but definitely not the least, every Korean restaurant will not be complete if there's no booze. Luckily, Gangnam Wings has a lot to offer from cocktails to authentic Korean beers. Or just order a plain Soju bottle. To know more about Gangnam Wings, you can follow them on their Facebook Page and Instagram Account. I would also like to invite you to join my giveaway for a chance to win a P500.00 Gangnam Wings GC! 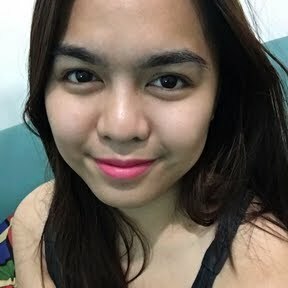 I'll pick 2 winners to win P500.00 GCs each. Goodluck!